Christmas in Poland is a major annual celebration, as in most countries of the Christian world Christmas trees are traditionally decorated and lit in family rooms on the day of Christmas Eve ( in the morning). 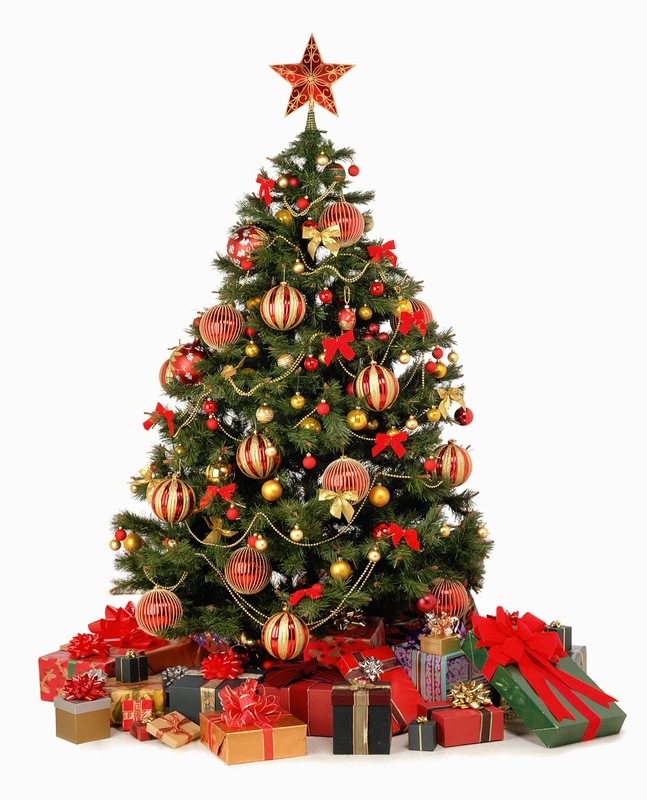 Other trees are placed in most public areas and outside churches. Christmas is called "Boże Narodzenie" in Polish (literally 'God's Birth'). Traditionally, the Christmas trees are decorated with glass balls, garlands and many homemade ornaments including painted eggshells, shiny red apples, walnuts, wrapped chocolate shapes, candles, etc.. At the top of each tree there is a star or a glittering tree topper. In many houses, the trees are left standing until February 2 nd, the feast day of St. Mary of the Candle of Lighting. 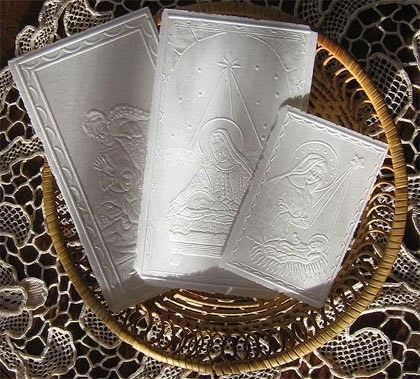 One tradition unique to Poland is the sharing of the "opłatek", a thin wafer into which a holy picture is pressed. In the old days people carried these wafers from house to house wishing their neighbors a Merry Christmas. Nowadays, opłatek is mostly shared with members of the family before the Christmas Eve supper (wigilia in Polish language). As each person shares pieces of the wafer with another, they are supposed to forgive each other any hurts that have occurred over the past year and wish them happiness in the coming year. In Poland, Christmas Eve is a day of ’ fasting’,. The Wigilia feast begins at the appearance of the first star. There is no red meat served but fish, usually carp. The supper, which includes many traditional dishes and desserts, can sometimes last for many hours. It is followed by the exchange of gifts. The next day, the Christmas Day, is often spent visiting friends. In Polish tradition, people combine religion and family closeness at Christmas. Although gift-giving plays a major role in the rituals, emphasis is placed more on the making of special foods and decorations. At night of Christmas Eve, so important is the appearance of the first star in remembrance of the Star of Bethlehem, in that evening, children watch the sky anxiously hoping to be the first to cry out, "The star has come!" Only after it appears, the family members sit down to a dinner table. According to tradition, bits of hay are spread beneath the tablecloth as a reminder that Christ was born in a manger. Others partake in the practice of placing money under the table cloth for each guest, in order to wish for prosperity in the coming year. In many houses an empty place setting is symbolically left at the table for the Baby Jesus or, for a lonely wanderer who may be in need of food, or if a deceased relative should come and would like to share in the meal. The supper begins with the breaking of the opłatek. Everyone at the table breaks off a piece and eats it as a symbol of their unity with Christ. They then share a piece with each family member. A tradition exists among some families to serve twelve different dishes at Wigilia symbolizing the Twelve Apostles. A traditional Wigilia supper in Poland includes fried carp and barszcz (beetroot soup) with uszka (ravioli). Carp provides a main component of the Christmas Eve meal across Poland; carp fillet, carp in aspic etc. 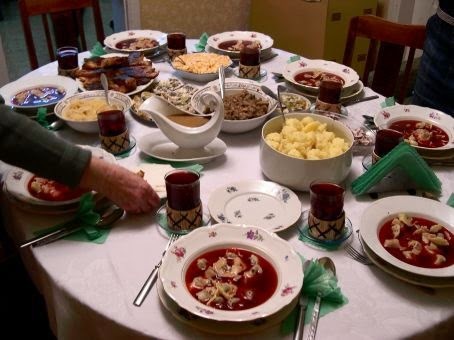 Universal Polish Christmas foods are pierogi as well as some herring dishes, and for desert, makowiec (poppy seed cake), cheesecake, dry fruit cake or noodles with poppy seed. Often, there is a compote of dry fruits for a drink. Christmas Eve ends with Pasterka, the Midnight Mass at local church. The tradition commemorates the arrival of the Three Wise Men to Bethlehem and their paying of respect and bearing witness to the new born Messiah. The custom of Christmas night liturgy was introduced in the Christian churches after the second half of the 5th century. In Poland that custom arrived together with the coming of Christianity. 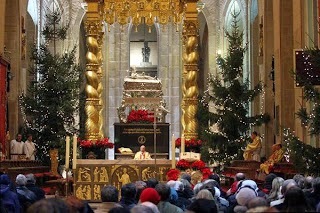 The next day (December 25) begins with the early morning mass followed by daytime masses. According to scripture, the Christmas Day masses are interchangeable allowing for greater flexibility in choosing the religious services by individual parishioners. 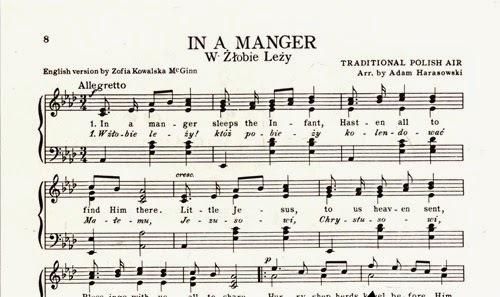 Christmas carols are not celebrated in Poland until during-and-after the Christmas Vigil Mass called Pasterka held between 24 and 25 of December. The Christmas season often runs until February 2 nd. The early hymns sung in Catholic church were brought to Poland by the Franciscan Brothers in the Middle Ages. The early Christmas music was Latin in origin. When the Polish words and melodies started to become popular, including many new secular pastorals (pastoralka, or shepherd's songs), they were not written down originally, but rather taught among people by heart.